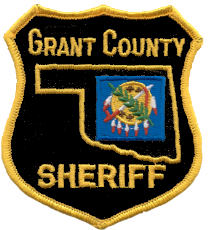 The Grant County Sheriff’s Office provides fingerprinting and background checks for Oklahoma Self-Defense Act applicants. $25 (cashier check only) No Checks or Cash please. For more information about fingerprinting call (580) 395-2356 or how to apply, visit the Oklahoma State Bureau of Investigation website.